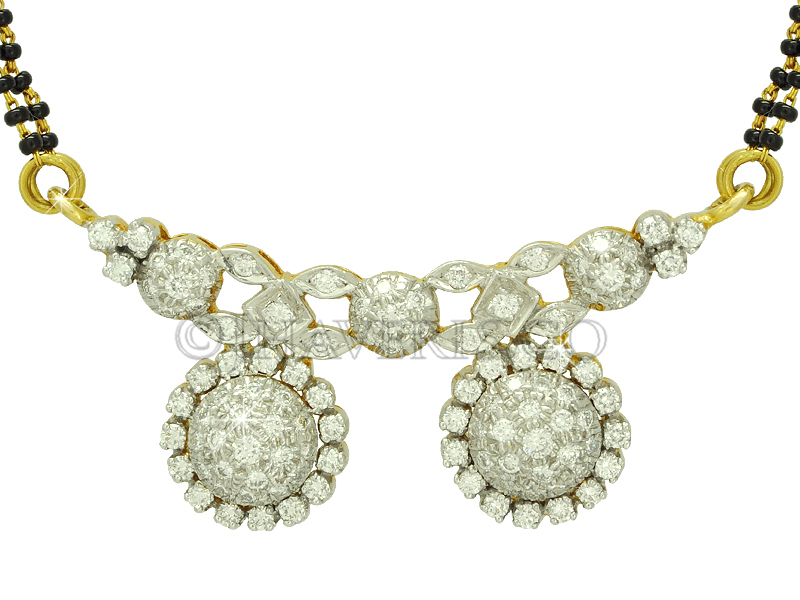 This traditional double vati mangal sutra pendant is made in 18K gold weighing 8.750gms and studded with 1.59ct diamonds in prong and pave setting. Please note that it does not come with the chain. To add a chain kindly select the desired style and length from the Mangal Sutra Chains section.